Welcome to Day #8 of Chocolate and Seeds Theme Week; and Day #2 of Chocolate Chip Week. Dates contain fiber and phytonutrients and act as a rich, moist binder for otherwise dry ingredients. 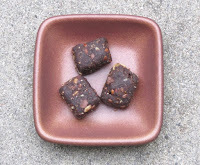 However, dates are also loaded with sugars and have an almost overly intense, dried fruit sweet flavor, unless balanced with nuts, seeds, grains and/or chocolate. Fortunately, today's compressed bites contained 4 different kinds of seeds and seed butter, and tasted well-balanced. Although the more subtle chocolate flavors were overshadowed by these other flavors. This bar was vegan and did "not contain peanuts, tree nuts or gluten." 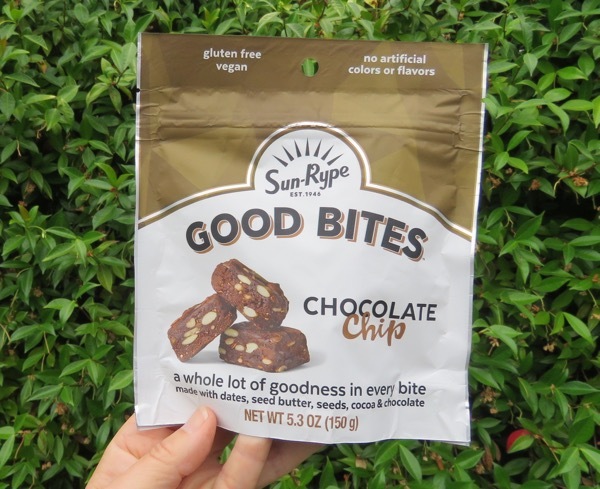 *Ingredients: dates, pasteurized seeds (sunflower, pumpkin, flax, chia), dark chocolate chips, sunflower seed butter, cocoa powder (processed with alkali), gluten-free oat powder, apple juice concentrate, natural flavor and sea salt. Welcome to Day #7 of Chocolate and Seeds Theme Week and Day #1 of Chocolate Chip Week. Today's Not Nuts! 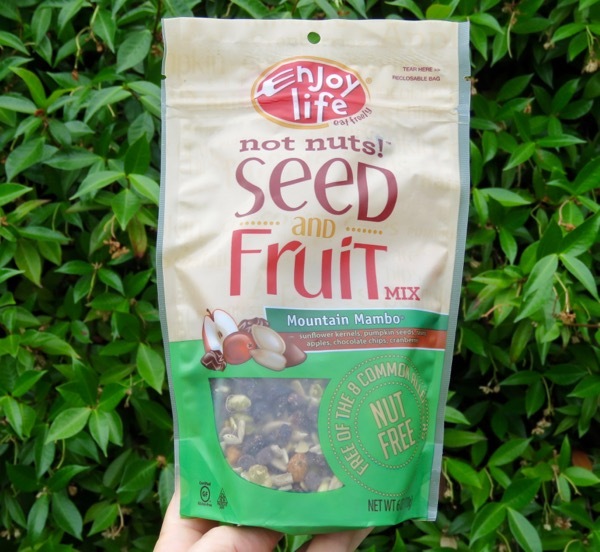 Seed and Fruit Mix - Mountain Mambo was from Enjoy Life Natural Foods, LLC (Chicago, IL). 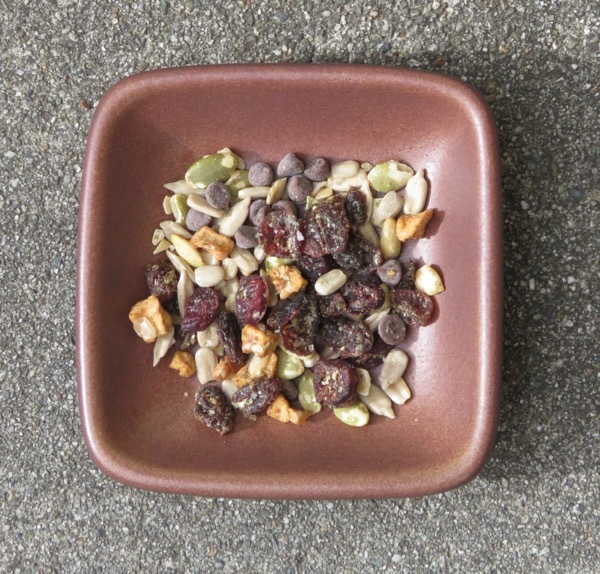 The satisfying trail mix style blend contained raw sunflower kernels, roasted and hulled pumpkin seeds, raisins, dried apples, chocolate chips and cranberries. The mini chocolate chips* added some chocolate flavor without making the mix too sweet. 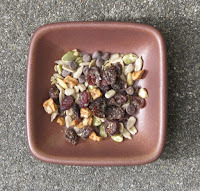 When it comes to trail mixes and energy bars, not that many are made in a dedicated gluten free and nut free facility. Happily, this Enjoy Life mix was. 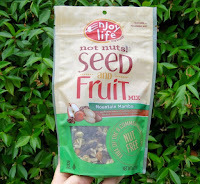 So, those with allergies can relax and enjoy a bit more with this snack. 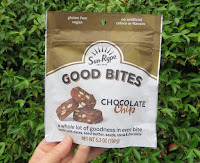 *The Enjoy Life brand also includes a line of chocolate chips and other chocolate-containing snack items.